Make your name better known when you give out this stretch wristband to active clients! 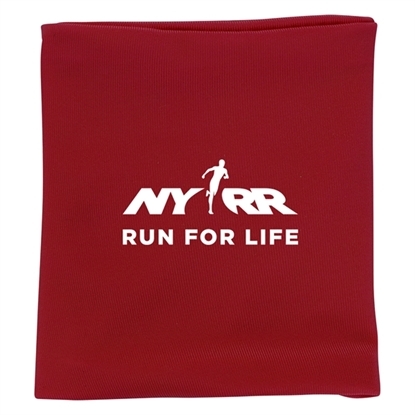 It measures 3 1/2" x 4", comes in six fantastic colors, is made of stretchy spandex material, and features a zippered pocket that's perfect for holding coins or cash. This is a great item to give out to runners and joggers or people who frequent the gym. This could add a special flair to their workout gear. Imprint with your logo for an amazing way to introduce your business to new customers! Stay visible while running, walking, biking and more with the Glow Light Wristband. 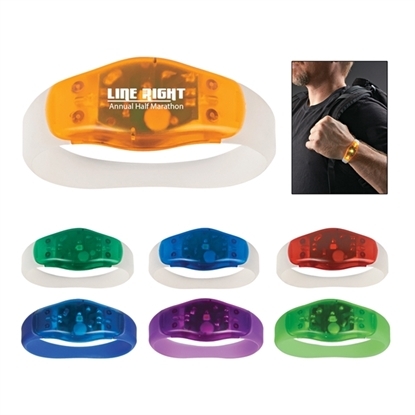 These are an ideal promotional wearable for any nighttime event and feature two different light settings for versatile visibility. A slide switch turns the product on and off and button cell batteries come included for immediate use of the wristband. They come in a convenient one size fits most design that makes them convenient for use at any promotional event or occasion. 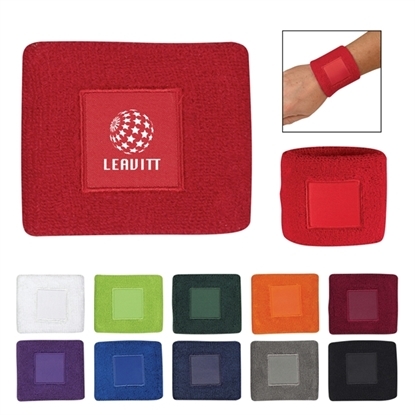 Lend a hand to active potential clients with this wristband with patch. Made from 100% cotton terry cloth, it's available in 11 popular bright and exciting colors. This product is sure to make a huge impact for your company at any advertising event. Make sure to add your company name, logo or promotional message before handing it out at tradeshows or grand openings for gyms, health and fitness awareness or outdoor promotions. See how far a great marketing tool can take your brand. 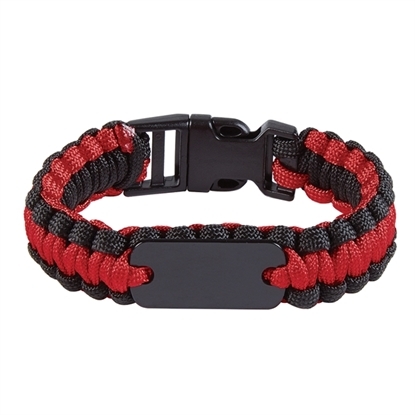 When your new and potential clients get in a bind, your company can be right there to help with this Paracord Survival Bracelet With Metal Plate! The wristband features a zinc alloy metal plate tag and a buckle closure. The cord is available in a handful of product colors. This product can be customized with your company's name, logo and marketing message before handing it out at tradeshows, hiking exhibitions, wilderness stores and more! New! 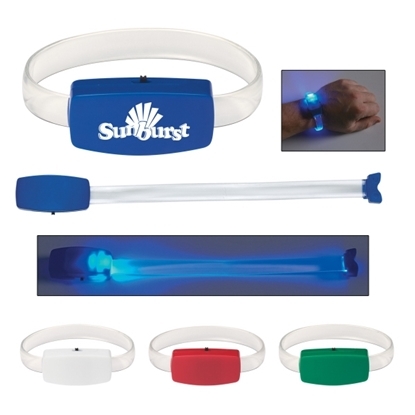 Add some essential, effective and promotional to your next safety campaign with this safety light wristband. This is perfect for anyone running, walking, biking and more. If measures approximately 8" and features two different light settings and has a one-size-fits-most design that makes this an easy giveaway at a wide variety of promotional events and occasions. It has two different light settings controlled by a push button on/off switch and comes complete with button cell batteries. Mypromotionalpens.com offers the largest and best priced selection in Promotional Sports Type Wristbands. We will price compete and we won't be under sold. Let our graphic designers make your personalized Sports Type Wristbands standout above the crowd at no charge. We won't stop until you are completely satisfied with your custom Sports Type Wristbands art proof.Use category search filters on your left to help narrow your search to find exactly what you are looking for.